A sign outside a hospital in the Liberian capital, Monrovia, urges patients not to bribe doctors or other staff for any services. The UNICEF-supported hospital offers its services for free. Corruption and complicity know no geographical boundaries, and it is society’s most vulnerable who get hurt the most, senior United Nations officials said on Wednesday, calling on Government leaders to fight the scourge, “from the top down”. “It all begins with setting an example. By tackling corruption, Governments can show they mean business,” said Secretary-General António Guterres, speaking at a high-level event marking the 15th anniversary of the UN Convention Against Corruption. “Society cannot function equitably and efficiently when public officials – from doctors to police, judges and politicians – enrich themselves rather than perform their duties with integrity,” he added. Adopted in 2003, the Convention Against Corruption is the only legally-binding universal instrument, drawn up to fight corruption in all its forms. In his remarks, Mr. Guterres also underlined that in addition to robbing vital resources from public services such as schools and hospitals, corruption also fuels human trafficking and the black market in natural resources, weapons, drugs and cultural artifacts. “It fuels conflict, and when a hard-won peace is achieved, corruption undermines recovery. Corruption and impunity are corrosive, breeding frustration and fostering further corruption when people see no other way of achieving their goals,” said the UN chief, calling for greater political and popular support for the fight against corruption. He described the Convention Against Corruption as one of the most effective tools the world has to achieve the common goals of good governance, stability and prosperity. “The UN will continue to support Member States every step of the way, from helping to engage and empower citizens in this fight, to helping build and enhance institutions that can deliver on their promise,” said Mr. Guterres. Ultimately, corruption causes suffering to ordinary people going about their daily lives, he stressed, citing common examples: “When they are stopped at checkpoints, for bribes. When a bus does not come – or a clinic does not open – because budgets were mismanaged. Or when they lose all of their savings, from extortion,” said Mr. Lajčák. He also highlighted the link between the 2030 Agenda for Sustainable Development and good governance. “If we want to achieve the Sustainable Development Goals (SDGs), we need to take concrete steps. This will mean allocating budgets. It will mean raising more funds. It will mean new policies and new legislation”, he said, adding that more innovative ways needed to be found of “working together”. Yury Fedotov, the Executive-Director of the UN Office on Drugs and Crime (UNODC) also underscored the importance of the Convention for sustainable development. Noting that while Sustainable Development Goal 16 (SDG16) explicitly urges action against corruption, tackling the problem is a prerequisite for overall economic growth. “Anti-corruption responses are also crucial to ensuring access to healthcare, water, education and other vital services; protecting forests, oceans and wildlife; and reducing inequalities,” he added. 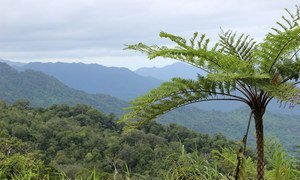 New guidelines designed to give poor and isolated communities more of a say in how tropical forests are used and preserved around the world were published on Thursday, by the Food and Agriculture Organization (FAO). 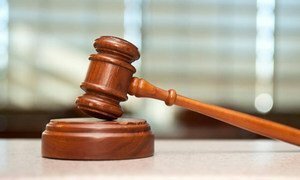 The United Nations on Monday launched an initiative to connect judges around the world so that they can learn from each other about ways to strengthen integrity in courts, such as by preventing corruption and undue political interference into judicial appointments and decisions.